Germany’s capital, Berlin, is accessible through the Berlin Brandenburg Airport, though the airports outside Frankfurt and Munich are actually larger. The cost of travel in Germany is quite steep, typically between $50-60 per day during summer, the country’s peak tourist season. During summer, temperatures are typically between 20 and 25ºC (70-80º F), while winters are closer to -1ºC (30º F). Beer steins and soccer paraphernalia are the classic German souvenirs, as well as handmade wooden crafts. Few other countries have touched history as profoundly and frequently as Germany. Located in Central Europe (but usually classified as Western Europe due to cultural similarities), the country has been a centre for travel and trade for many hundreds of years. In fact, travel through Germany was an essential part of the Grand Tour, a traditional trip taken by wealth Europeans during the 17th through 19th centuries that was the forerunner of the modern tourism industry. These days, Germany is doing quite well for itself. It is the world’s fourth wealthiest country, second most popular destination for immigrants (after the United States), and holds the largest population in the European Union. 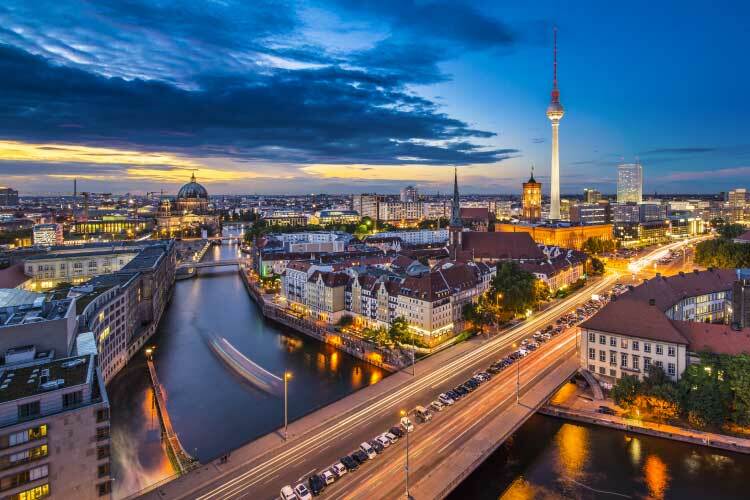 Furthermore, Germany’s tourism industry is quite well developed, and travelers will be delighted to find numerous upscale hotels, restaurants, city tours, and other travel amenities. Germany history is quite long and complex, but we’ll do our best to summarize the country’s heritage. Long ago, the country was populated by numerous indigenous groups, most notably Neanderthals. During the Bronze Age, Germanic tribes expanded their territory southwards across Germany, forever lending their name to the country. Though the Roman Empire constantly fought to control the country, the schism of their empire ultimately ended those efforts, and for several hundreds years the country was occupied primarily by regional warlords. This would change when famous ruler Charlemagne died in 843; the eastern half of his empire (which included Germany) rose to power as the Holy Roman Empire. Though the Holy Roman Empire no longer exists today, its military strength and ties to the Catholic church allowed it to become a major player in Europe’s economy and culture. During this time period, religious warfare was common, especially after Martin Luther posted his Ninety-Five Theses and began the Protestant Reformation. During the 1700s, the Austrian Hapsburg dynasty and the country of Prussia (which also no longer exists) fought for control over the country, but in 1814 the country unified as the German Confederation. During WWI, Germany sided with the Central Powers, which led to their defeat. Their loss in WWI, coupled with the Great Depression, caused widespread economic ruin. In response to this, Adolf Hitler and the Nazi party rose into power, ultimately culminating in WWII and the tragic Holocaust. The Allied powers ultimately forced Germany to surrender, and it was then split by the infamous Berlin Wall into East and West Germany. In 1989, the Berlin Wall fell and Germany unified once more, this time as the democratic powerhouse it is today. Not surprisingly, the most popular German city to visit among tourists is the country’s capital and largest city, Berlin. Many travelers wish to see the city’s historic sites, and painting graffiti on the remaining portions of the Berlin Wall has become somewhat of a tradition among travelers. Many of the city’s more famous historical sites are in Mitte, the historical city center. However, to get a sense of modern day Berlin, it’s probably best to explore the city’s numerous ethnic neighbourhoods. In fact, Berlin is home to immigrants from an astonishing 190 countries (out of a total of 195). The Turks are the largest non-native ethnic group in Berlin, representing almost 10% of its population. Many of the areas surrounding Mitte, such as Kreuzberg, are immigrant hubs. We highly recommend travelers explore these areas to get a feel for the multicultural phenomenon that is life in modern Berlin. Berlin, Germany viewed from above the Spree River. 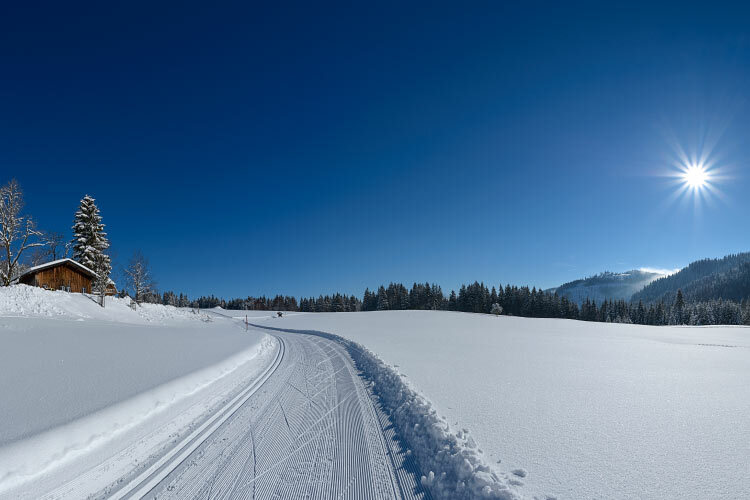 Skiing is a very popular tourist attraction in Germany, and many different resorts exist throughout the country. The most popular is Feldberg Liftverbund, located in the southwestern corner of the country. In addition to several slopes, this fantastic resort also features a freestyle park, charming restaurants, and housing close to slopes. The mountain is appropriate for skiers and snowboarders of all skill levels. Germany has produced numerous artistic and musical celebrities, many of which came through Hamburg’s music scene. While local acts like Helloween, Dark Age, or Scooter have achieved international success, by far the most popular band to come through the Hamburg scene is the Beatles. Though English in origin, the Fab Four got their start playing clubs around Hamburg before becoming the most successful rock band of all time. In fact, the group was so successful that Beatles-oriented tourism has become quite popular in Hamburg. However, the city has played a key role as an international for many centuries, and as such offers numerous other opportunities for tourists. Be sure to check out Blankenese, a former fishing village now frequented heavily by tourists due to its traditional architecture and beaches. 1. Spend some time exploring Hamburg’s many local art galleries, capping off the day with a trip to Kunsthall. Then, wander through Hamburg’s massive port, the second largest in all of Europe. A dinner cruise is a fantastic way to take in the harbour. At night, be sure to participate in Hamburg’s thriving club scene. 2. 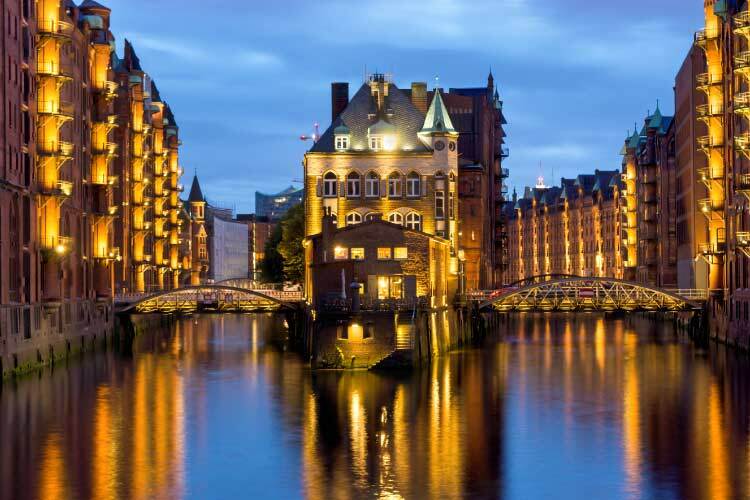 Germany’s capital, Berlin, has lots to offer history buffs. Start at the Mitte, Berlin’s historical center thats dotted with examples of German culture both past and present. Then, head east of the city centre to see a portion of the Berlin Wall, which was left intact for tourist purposes. Finally, check out one of Berlin’s renowned operas, preferably at the opulent Staatsoper Unter de Linden. 3. 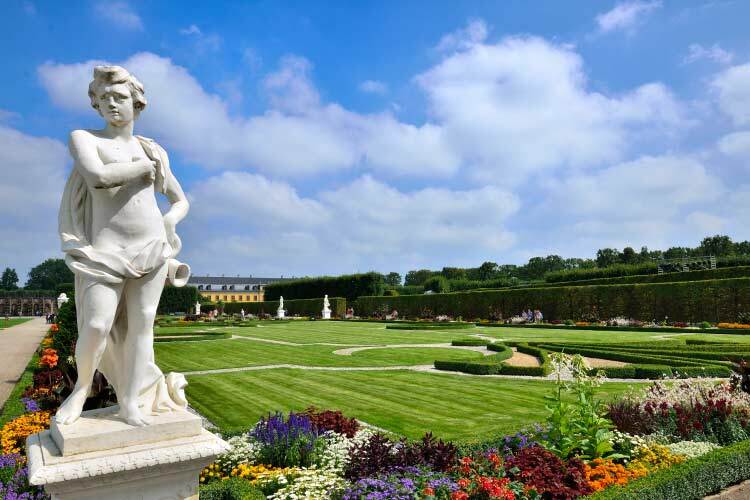 Hanover holds a massive baroque style garden called Herrenhäuser Gärten (pictured below) that’s definitely worth a visit. Furthermore, one ought to visit one of the city’s numerous museums; the Landesmuseum is a particularly lovely cosmopolitan of historical, cultural, and scientific exhibitions. Cap off the day with some beer at a local pub, paired with an authentic German dinner. 4. Münster is filled to the brim with churches, though St. Paul’s Cathedral typically draws the most visitors. Then, spend an afternoon on the Aasee, a large artificial lake in the city centre. Münster is one of the most cyclist friendly cities in the world, and biking through its streets are the perfect way to explore the city. The university in Münster is also quite spectacular, and it holds the Castle of Münster, a fine example of traditional European architecture. 5. Known as one of the more progressive cities in Germany, Cologne’s art galleries and music venues are worth a visit simply to experience the cutting edge of German art forms. However, the cities historical sites are worth a visit as well. Kölner Dom is a huge cathedral every traveler should visit; it takes about an hour to walk up all the stairs to the top of the cathedral, but the view of the city is absolutely worth the hike. 6. 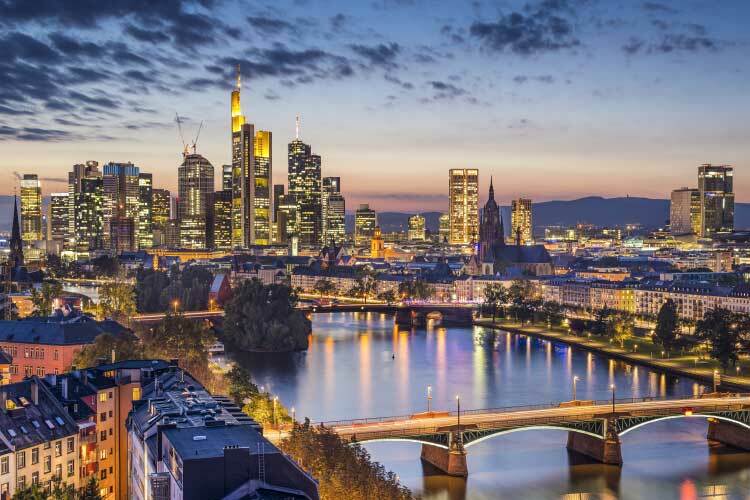 Frankfurt is known for its ultramodern skyline, which can best be viewed from the banks of the Main river or the top floor of the Main Tower. However, its classical buildings are also worth a visit, such as the old opera house Alte Oper and anything near the history city centre of Römerberg. 7. Travel through Nuremberg’s old section to see a plethora of classic homes and businesses, all under the looming shadow of a rather majestic castle. Then, go underground for a tour of the Nuremberg Underworld, a unique system of tunnels, cellars, and hidden passageways located beneath the castle. At night, grab a bite in one of Nuremberg’s world-class restaurants. 8. 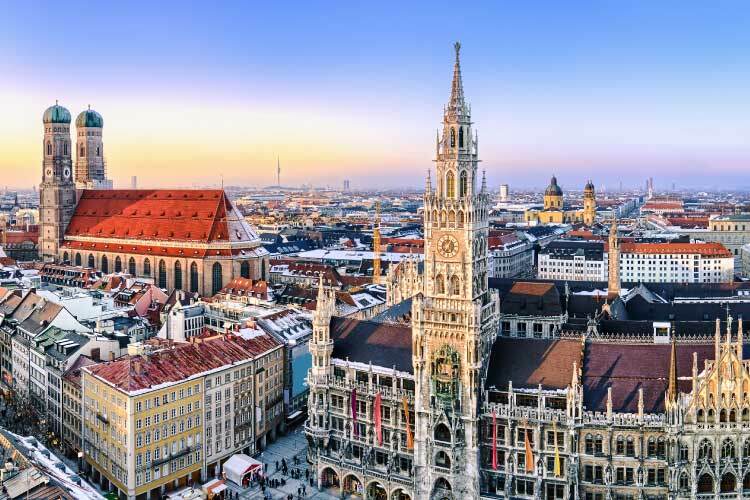 The massive city of Munich offers several classic itineraries to travelers, such as a stroll through the historic theatres and museums of Briennerstrabe. Furthermore, one might visit Schloss Nymphenburg, a massive 17th century castle surrounded by abundant gardens. On a contrasting note, Munich is also very well known for its excellent beer selection, especially if you’re lucky enough to visit the city during its infamous Oktoberfest.